. 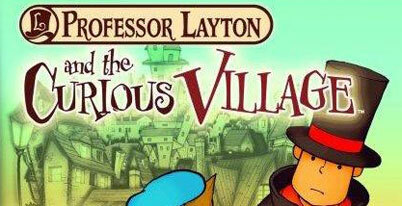 : Professor Layton and the Curious Village :. Home / Nintendo DS game manuals / Professor Layton and the Curious Village :. Professor Layton and the Curious Village manual Just click to open it in a new window then print the manual. The game is essentially a collection of puzzles with adventure style exploration between minigames. The puzzles take the form of brain teasers and are only loosely tied to the plot, although the player must solve a certain number in order to progress past some points in the game. A hint system is also included which requires the use of "hint coins," found hidden in the landscape of the game and in limited quantity, in order to reveal each hint.